Youth sports are a complex and difficult entity. There is no right way or wrong way to run a system. Each sport has different requirements and logistics, and each country and part of the world have different ways of doing things. The way we do things here varies by sport, and by competitiveness of the leagues. That idea can be seen in other parts of the country. To clarify, this is simply an examination of different systems, no decision on what is better or worse. Probably the biggest proponent of the academy system for youth sports is international soccer. All teams, big and small, have some sort of academy that varies in scale between teams. The smaller clubs have a local focus, and end up taking kids who couldn’t find a place in the academies of their local teams or bigger clubs. 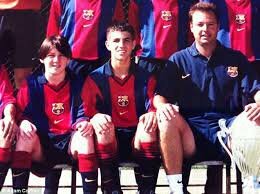 Teams like FC Barcelona even scout kids as young as 8 to join their academy from around the world, the most famous example being Leo Messi. Once in the academy, players get educated, a place to stay, and spend their time training like they are professionals. The key there is that these big clubs spend time identifying future pros, and develop them, and admittance is very hard. This process of bringing kids in forced FIFA, the infamous governing body, to regulate and set rules for bringing kids in. In a lot of cases, like the case of US men’s national team star Christian Pulisic, families pack up everything and move to a new place with a new language for a chance to play at a high level. For every success story, there are multiple stories like the story of Ben Lederman. His story was recently highlighted on ESPN, where he and his family moved to Barcelona when their academy recruited him. Due to a technicality, he wasn’t allowed to play for Barcelona, and once he figured that out, he lost a year of playing time. This led to him having to move to smaller clubs to work his way back, a path he is currently working on. In international soccer, kids tend to focus on becoming stars as kids, to escape some poverty they live in, or to become the star they dreamt of being. For many, its an escape that will make or break their lives and the lives of their families. In America, people play football and basketball for that, but there isn’t the pathway to dedicate yourself to a sport like you are a professional from a young age. I would say AAU basketball is the closest thing to this in terms of the money involved. There is travel all around the country, camps, academies, and televised tournaments. In other youth sports, little league baseball via the little league world series touches that level of attention, but nothing year round. 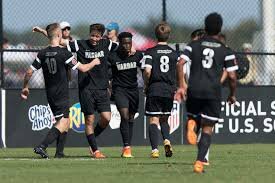 Youth football has the scouts, and college recruiting is becoming like the academies of international soccer. Not only that we see stories of kids in middle school getting recruited and even offers from top college programs. College athletics via the NCAA are becoming like academies too, with tutors, dedicated study areas, and fully set up schedules and professional training facilities. Colleges have been spending tens of millions each for facilities that rival the pros. The NCAA almost has created a catch all academy for all of the sports, but not all sports get treated the same. (That is a topic for another day) Like that, basketball in Europe has taken this path too. Teams like Real Madrid and Barcelona have their academies that have players from other sports as well. 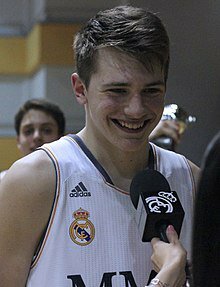 Luka Doncic of the Dallas Mavericks made his name early on with Real Madrid’s basketball organization, after being scouted as a kid from his native Lithuania. in America, we tend to pride ourselves on options. Instead of putting kids in an academy or dedicating themselves to one craft, parents want their kids to do a lot of different things. Education, youth sports, some sort of music, the list can vary, but the goal is options. Parents encourage it, and teachers and counselors try and enforce it by trying to discourage putting all your eggs in one basket. We do live in the land of opportunity after all, and parents want their kids to be ready for whatever that opportunity may be.